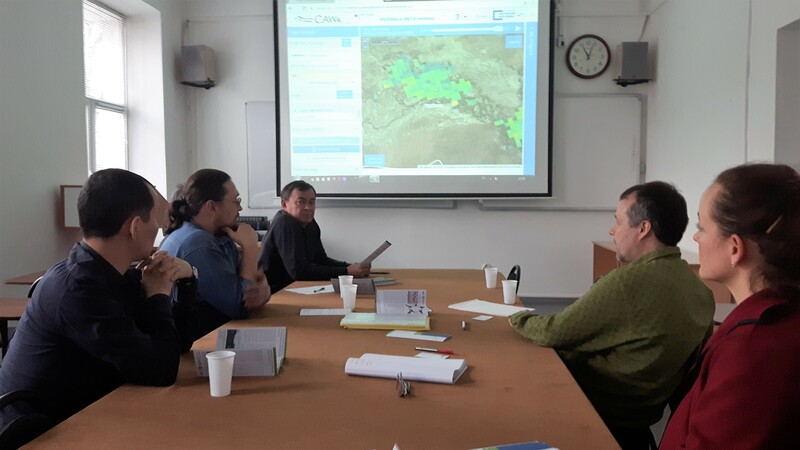 Begin of March 2018, colleagues from the Department of Remote Sensing at the University of Würzburg and their colleagues from the German-Kazakh University in Almaty (Kazakhstan) set up the roadmap for disseminating the online information tool WUEMoCA in the final CAWa phase (2018-2019). Among others, colleagues from the Department of Remote Sensing met and discussed potential tool applications with the Institute of Geography in Almaty, the GeoFaculty ate Kazakh National University, the National Kazakh Centre for Space and Research Technology, and with Agrohub at the Kazakh National Agrarian University. What is WUEMoCA? WUEMoCA stands for Water Use Efficiency Monitor in Central Asia. 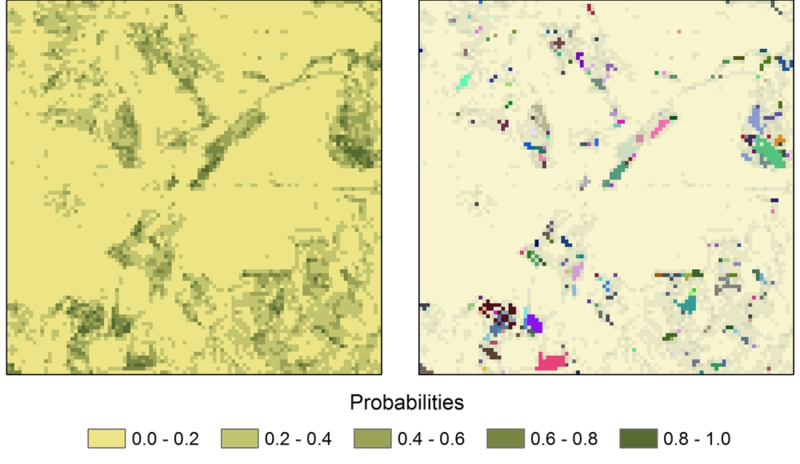 WUEMoCA is a freely accessible interactive web mapping tool for the regional monitoring of irrigated cropland in the Aral Sea Basin in Central Asia. Information is largely based on optical remote sensing data (e.g. MODIS) from 2000 to 2017 (and ongoing). Results are summarized at different administrative and hydrographic levels and provided as maps, diagrams, and tables. With the designed system of indicators and methods, WUEMoCA aims to contribute to the current database at the regional scale and to support informed decison making in the water management sector. Potential applications include the assessment of marginal lands with low productivity, the intensity of land use, and the water use efficiency. WUEMoCA was jointly developed by the Department of Remote Sensing, the Scientific Information Center of the Interstate Coordination Water Commission of Central Asia (SIC ICWC), and green spin. Tool development and related research were conducted within the framework of CAWa work package 3 (WP3). The CAWa project is funded by the German Federal Foreign Office as scientific-technical component of the German Water Initiative for Central Asia (“Berlin Process”), grant no. AA7090002. upcoming talk at: Space – the final frontier for biodiversity monitoring?